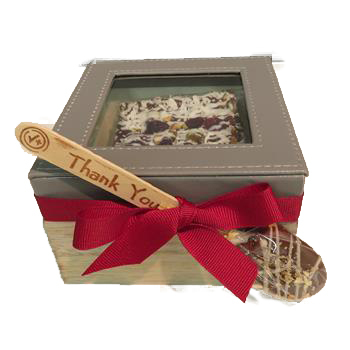 This custom holiday gift box is filled with gourmet chocolate bark. The clear top can be personalized with your company’s logo or message. This item requires a minimum quantity of 24.